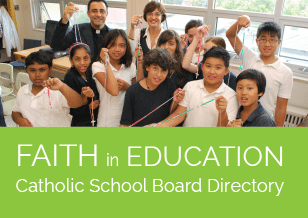 TORONTO – January 18, 2019—As part of Ontario’s diverse and vibrant public school system, Catholic schools have a distinctive faith-based approach to education. That approach is rooted in a perspective that honours the dignity of every person and recognizes the shared responsibility for each other, all people share as Stewards of Creation. The annual Ontario Catholic School Trustees’ Association (OCSTA) short-video contest for students in the province’s Catholic schools is an opportunity to celebrate this perspective through various themes that bring to life what it means to experience a Catholic education. The 2018 short-video contest theme was “Community Builders” and on January 18, 2019 OCSTA announced the winners of this provincial student contest. First, second and third place awards were presented to winning submissions at both the elementary and secondary levels. “In our Catholic schools, students are taught that to serve others in the community who are in need is to live according to Gospel values that make our world a better place for everyone. Students feel compelled to act when they see people in need and instances in their communities where their own unique gifts can be put to good use. Our excellent teachers and staff in Catholic schools help to guide students in developing their talents and potential, and this year’s student short video contest really helped to highlight that attribute of our system,” explained OCSTA President and Chair of the Bruce Grey Catholic District School Board, Beverley Eckensweiler. The Ontario Catholic School Trustees’ Association is the provincial voice for publicly funded Catholic education. Founded in 1930, OCSTA represents the interests of Catholic school boards that collectively educates approximately 545,000 students in Ontario, from Junior Kindergarten to Grade 12.